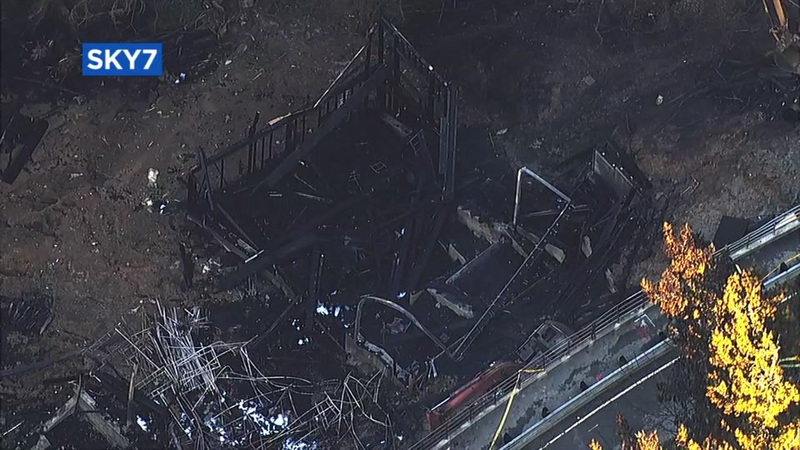 OAKLAND, Calif. (KGO) -- The Oakland Department of Transportation has ordered an indefinite road closure on the 6600 block of Snake Road where a home under construction caught fire early Tuesday morning, spreading to other homes. Five homes were badly damaged in the blaze that some feared would turn into another Oakland Hills Fire-size disaster. Firefighters knocked down the flames and monitored hot spots shortly after the fire broke out, keeping everyone safe. The closure does not block access to any homes but it may require some root changes so please be aware when driving near the area. Experts are evaluating the area to determine next steps whether they be repairs or continuing the closure. Updates on this closure are expected next week.